A native parasitic plant found commonly throughout south-eastern Australia, is showing great promise as a potential biological control agent against introduced weeds that cost millions of dollars every year to control. 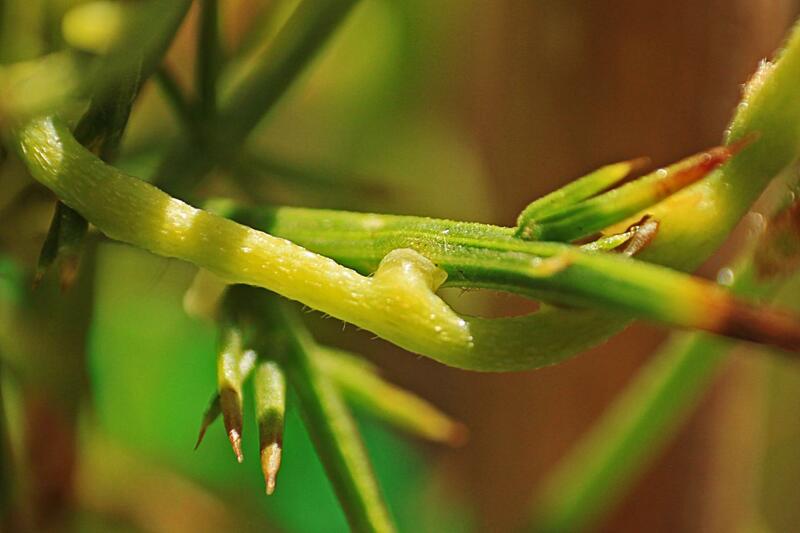 University of Adelaide research has found that the native vine Cassytha pubescens, better known as snotty gobble, is able to kill gorse, blackberry and Scotch broom, while not damaging native shrubs. "Parasitic plants attach to host plants via 'suckers', latching on and sucking out the water and nutrients so they can grow at the expense of the plants they infect," says Robert Cirocco, recent PhD graduate in the University's School of Biological Sciences. "Cassytha is particularly successful, growing on pretty much anything, and very effective against several designated 'Weeds of National Significance' such as European gorse, blackberry and Scotch broom. "These introduced weeds cost millions of dollars annually to eradicate from farmland, forestry, roadsides, national parks and other environmental areas. They have significant negative impacts on native vegetation and biodiversity and can increase bushfire risk. They are very hard to get rid of because they produce large amounts of seeds that may remain viable in the soil for decades. "Cassytha, as a promising native biocontrol agent, has huge potential in cutting costs of weed control, and reducing the negative impact of weeds on the environment." The most recent research, published in the journal New Phytologist by Dr Cirocco, Professor Jennifer R. Watling and Associate Professor José M. Facelli, shows that Cassytha pubescens strongly affects performance of gorse, (which is a nitrogen-fixing legume), regardless of the nitrogen condition of the soil. A native legume, Acacia paradoxa, was much less affected. "Parasitic plants are well known to remove nitrogen from their host plants but little was known about whether nitrogen in the soil affects their impact on host plants that are legumes, including gorse," says Dr Cirocco. "In low nitrogen environments, legumes boost their relationships with nitrogen-fixing bacteria, which comes at an additional energy cost to the plant. It was possible that plants could be more vulnerable to Cassytha under low nitrogen. "However, we found that manipulation of nitrogen supply had no influence on the effect of Cassytha on either the introduced weed or native legume plant host. These findings suggest that Cassytha continues to show promise as a native biocontrol for major invasive shrubs in Australia, while not damaging native plants, regardless of soil nitrogen conditions." Dr Cirocco says there is still more work to be done before Cassytha could be used as a biocontrol. Field trials are needed to further evaluate its success and ensure there is no significant threat to native vegetation.